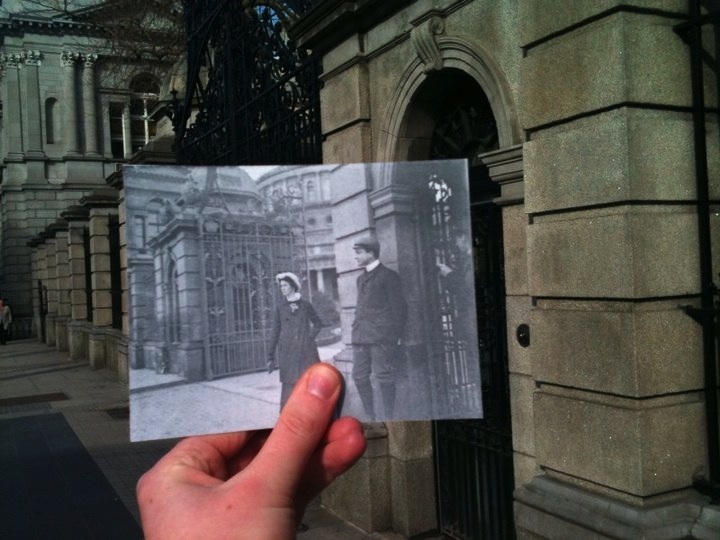 The National Library has been using Twitter to share images of Ireland’s past for a little while now. The images are incredible and the sheer diversity is one of the massive joys of this little daily treat. Yesterday’s examples were particularly fine ones and can be seen here and here. Our old pictures meet your new pictures (and your thumbs!) Please join in – full information on how to snap your own FFTP shots can be found in our ‘notes’ page. I like nothing so much as when one of our wonderful state institutions does something clever and this is a wonderful example of that. Written by: Eoinpurcell on 1 June, 2010.